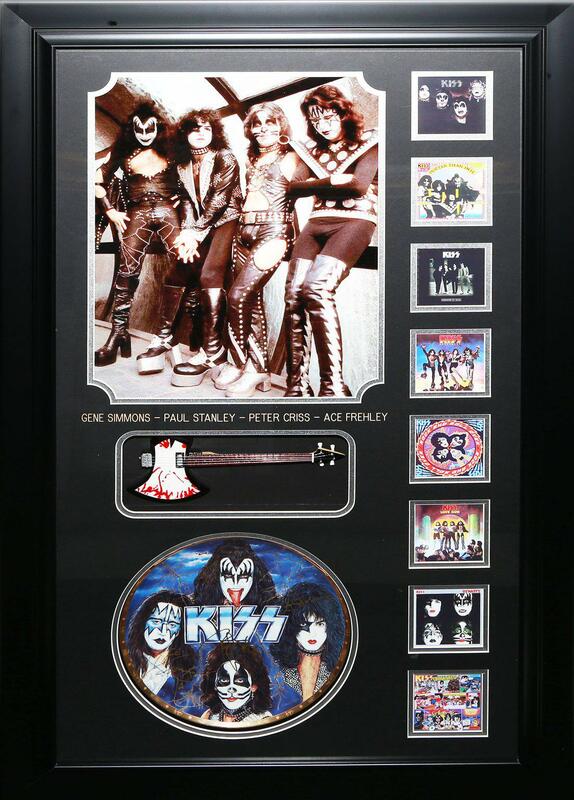 Hollywood Entertainment Memorabilia and Collectibles include a mini bass guitar replica, album cover reprints, and Limited Edition collector’s plate “Rockers and Rulers”, personally autographed by the four (4) members of KISS - Gene Simmons, Paul Stanley, Peter Criss, and Ace Frehley - Created from original artwork by Michael J. Taylor. Approx. Measurements of Frame: 26 x 43 inches.